In addition to the regular structured dialogue meetings the FST conducts with the club, board members also attend a number of other football related meetings and forums to represent the views of Fulham supporters. 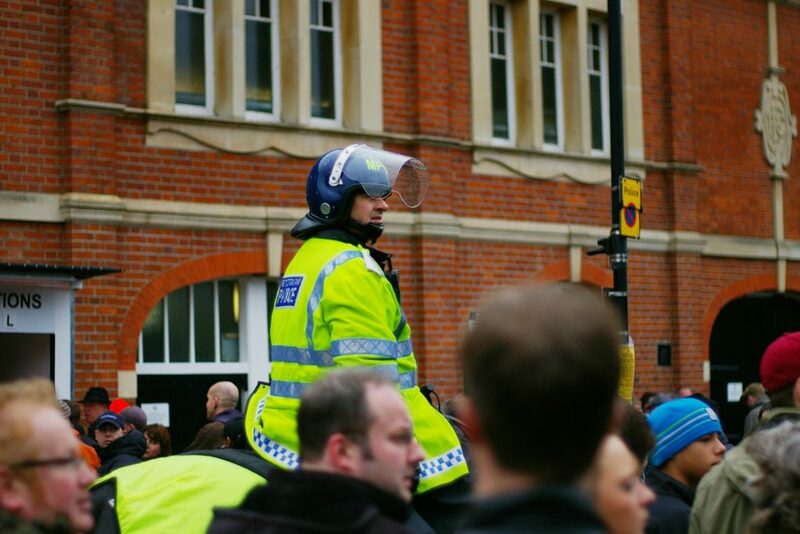 The police central football unit Independent Advisory Group (IAG) is a new policing group which was set up in November 2018 to allow supporter representatives from every football club in the 32 London Boroughs to offer independent advice, which it is hoped will help the police to provide a better service in their communities. The IAG is planned to be a forum where the supporter representatives can together act as a ‘critical friend’ to the police and offer advice on development and review of police policy, procedure and practices as they relate to football. The IAG is not party political and draws on a wide range of volunteers with a variety of perspectives. Four members of the board of the the Fulham Supporters’ Trust are registered with the IAG to ensure that Fulham supporters are always well represented. Sue Couch and Owen Smith both attended the December 2018 meeting along with representatives from AFC Wimbledon, Arsenal, Charlton Athletic, Chelsea, Leyton Orient, Millwall and West Ham United. Also present were several football club Designated Football Officers (DFOs) (Fulham supporters who travel regularly to away matches will be familiar with the friendly face of PC Tony Delamo who is Fulham’s designated police officer) and senior officers from the Metropolitan Police, as well as two representatives from Kick It Out. The British Transport Police and Tottenham Supporters Trust sent apologies. The December 2018 meeting was devoted mainly to agreement of objectives for the IAG. The meeting was very open and objectives were not steered by the police who are keen to hear and respond to the uninfluenced point of view of supporters themselves. The organisers stressed that the IAG is much more than a ticking boxes exercise and is a big step up from “Fans’ Forums”. We quickly decided on four major areas of focus: police procedure and policies, threats to matchday supporters, racism and touting. These areas are common to the fans of all clubs, both home and away. Different representatives highlighted the need to aim for good two-way communication and the subjects of confidence and trust and proportionality in policing football games were also mentioned. Future meetings will be an opportunity to also discuss and reflect on issues affecting individual clubs alongside the overarching big topics. At the December meeting Kick It Out provided an overview of the support their organisation has for players, fans, clubs and the community in their remit as the inclusion and equality body for the FA. This overview was timely and had particular resonance following the events at both the Chelsea v Manchester City and Arsenal v Tottenham games. The work and remit of Kick It Out is extensive as is the amount of support they offer on match days and beyond. This includes an anonymous hotline, an app to report discriminatory behaviour and social media. It’s worth checking out the Kick It Out website for more information. The FST will continue to attend the regular meetings of the IAG so do share any comments, thoughts or suggestions that you have on football related policing matters by emailing [email protected] or contact us. Please include IAG in the subject heading.